The Crazy 4 Cult show put on by Gallery1988 opens this Thursday, August 9 in New York city. They have already previewed a few designs on their facebook page. Some really nice ones there. The prints have since sold out there, but I have some left from the same run. Contact me at stevothomas[at]msn[dot]com. $50 plus S&H. Signed and numbered. 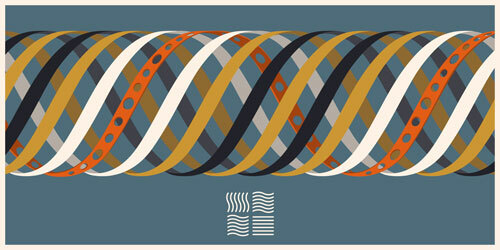 I've also put my Lee Loo DNA design up on Threadless.com for voting. If chosen you could see it printed on a shirt. Follow the link to vote (the page may not be ready yet as the design could still be pending). Enter your email to sign-up to my blog newsletter and I'll send a note when new articles are posted. Wizard of Oz - inspired prints. ON SALE NOW! 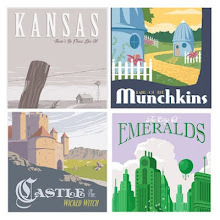 There are 50 Giclee prints of each: Kansas, Munchkinland, Emerald City and the Wicked Witches Castle. Inspired by the original text. 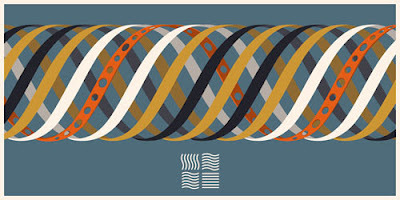 At 18 by 24 inches they come signed and numbered.